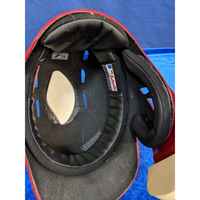 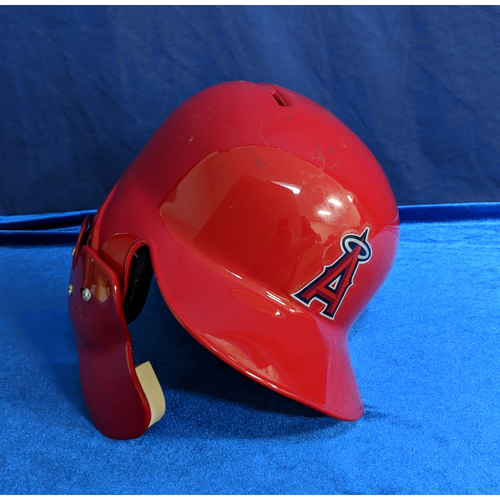 This Helmet was custom made for Los Angeles Angels Pitcher, Designated Hitter and 2018 American League Rookie of the Year Shohei Ohtani for the 2018 Season. In 2018 Shohei Ohtani would bat for a .285 average with 22 home runs, 61 Runs Batted in with 10 stolen bases. 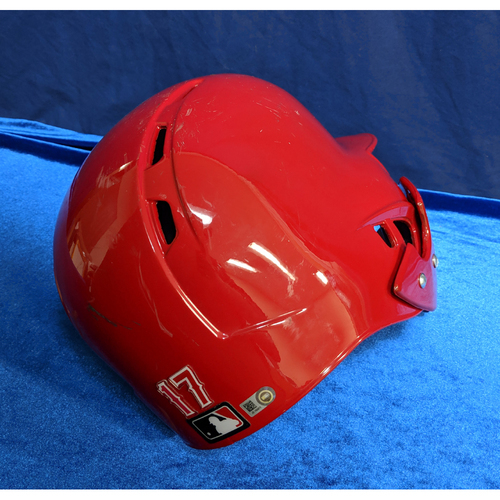 This helmet is a size 7 ¼.